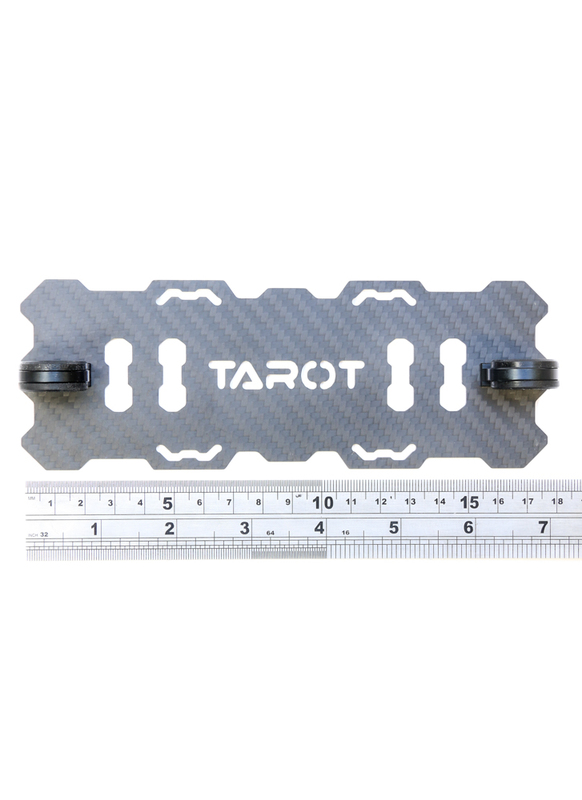 This is a large carbon fibre battery tray, designed to accommodate a 4-6S LiPo battery, or multiple smaller batteries. It comes complete as a kit with 12mm vibration damping tube mounts and screws. The plate is compatible with 155mm rail mounting systems. 155mm is the standard used by DJI for frames such as the S800 and S1000. 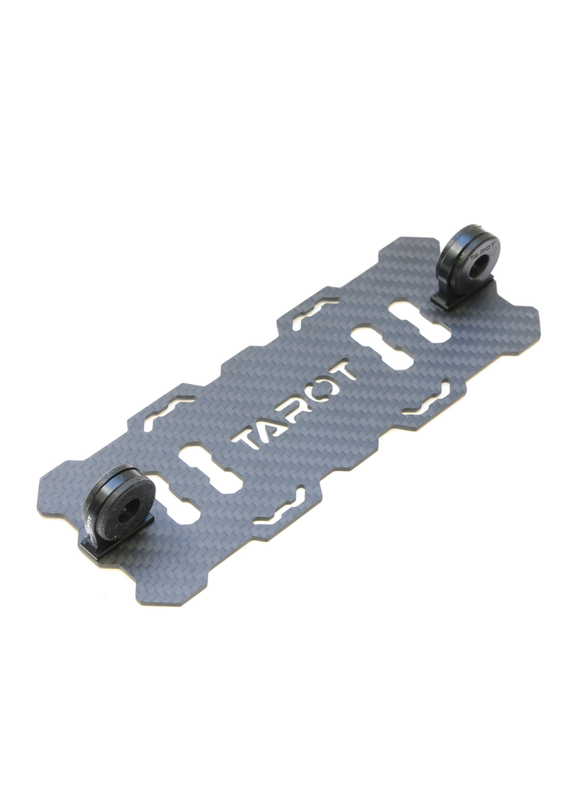 Tarot’s T series multirotors, for example the T810, T960, T15 and T18, also use 155mm. If you use a 165mm rail, we see a similar battery mount here. The plate also lends itself to mounting other accessories, for instance a brushless gimbal.